Super affiliate FatWallet was just named as one of the 50 Best Small and Medium companies to work for in America in the 7th Annual Great Place to Work Rankings from Entrepreneur. FatWallet, based in Rockton, IL, came in at #20 of the best small companies (50-250 employees) to work for in America. 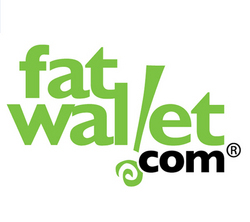 FatWallet has been described as a “dotcom located in a cornfield”. Fun aspects of the workplace includes events like kickball tournaments for charity, pinball, foosball, shuffleboard, and monthly game days. The company also has a “no miss” policy, where people are not allowed to miss important family events for the sake of work. See the complete list at http://www.greatplacetowork.com/what_we_do/lists-us-sme.htm. Congratulations to Tim and the FatWallet team!